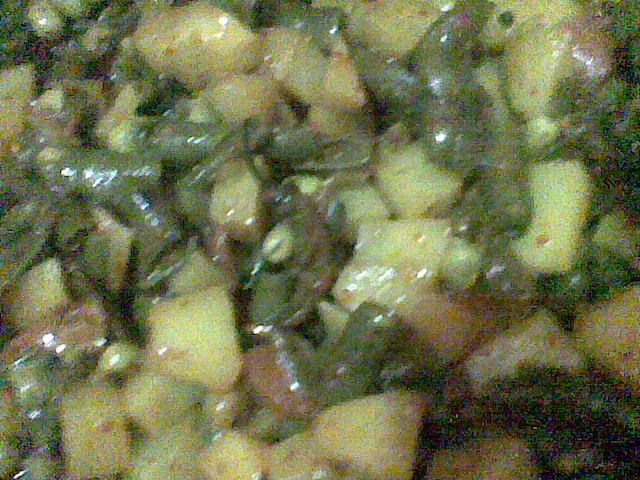 In a hot pan add oil, heat well, add mustard seeds, when it splutter, add chopped onion, garlic, green chilly, salt and sauté lower flame add chilly flakes, turmeric, garam masala and sauté add chopped tomato, potato, green beans and stir well. Add 1 table spoon water and cover, cook till tender. Add salt if necessary. Now the dish is ready to serve.